I already awarded picture of the day, but this definitely would have been competition for the award.. It looks like in the Knesset people are now expected to eat either sandwiches or food that does not require strong cutlery - perhaps items like jello and ice cream. The cutlery cart was removed from cafeteria and placed in a more discreet and hidden place outside of the cafeteria. The reason is to prevent someone, from among the many people walking by through the Knesset, to possibly grab a knife from the cart. This is intended to minimize the chances of someone grabbing a knife and stabbing someone (or threaten someone to that effect) in the Knesset. I think all knives should be removed form the entire country. And forks, as they can be used to stab as well. And screwdrivers. Mishpacha magazine (Hebrew) has come under fire today in both social media and on some news sites, and subsequently on the radio talk shows, for something they printed in the latest edition, distributed today. This is being described as an ad by Mishpacha asking the Arab terrorists to not stab Haredi Jews becuase the Haredim are not a side in the conflict - they do not go to Har Habayit, "so please do not murder us". 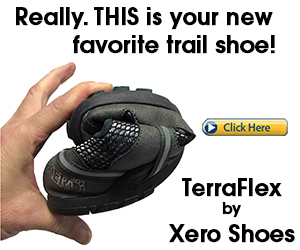 Obviously that is a disgusting and offensive ad to run, an offensive request to make. The problem with it is that the above is being taken out of context. While it itself is inappropriate, it is not an ad being run by Mishapacha asking Arabs to not stab Haredim. It is an excerpt from an editorial in Mishpacha that is being taken out of context. The first line of the next paragraph after the above excerpt begins "Now, seriously,...". The writer goes on to explore why Haredim are targets, and why in a town like Beitar, with neighboring villages like Husan, things have been relatively quiet. He refers to a conversation he had with a Palestinian laborer in Beitar. He explores the possibility that it is because Haredim are the most easily identifiable as Jews. He explores the possibility that it is a religious war, and Haredim are [perceived as] the most religious. While the opening paragraph is surely offensive and inappropriate, it is NOT an ad asking Arabs to not stab haredim. The real purpose of the article is the conclusion. The entire issue of the stabbing and Haredim being targeted is in order to point out to the readers that the Haredim are more representative of the Jews than any other group. Even though he points out that now is not the time to argue over who is more Jewish than whom, he is basically patting himself on the back for the revelation via the stabbings that the Haredim are more Jewish than everyone else. the entire Sharon region has flooded from the heavy rains... reminiscent of the prayer said by the kohen gadol on Yom Kippur - ..that the homes of the residents of the Sharon should not become their graves (from the extensive flooding and heavy rains).. YES has put the first episode of season 2 of the hit show Shtissel online. The new season is set to begin airing on this coming Motzei Shabbos..
this was posted to twitter by Chezki Shechter, stating that this was the view from Azrieli Towers in Tel Aviv earlier today... (he jokingly compared it to the game of Rush Hour and challenged people to find the 6 ways posisble to get the red car out of the traffic jam..). Parts of Ranana are still flooded from the recent rains, and without electricity. The other day Naftali Bennet posted online that he still had no electricity in his house. Gidon Saar responded that he would take care of it. Shortly after that, the electricity returned, and Bennet posted that electricity was back. Saar jokingly asked him why he didn't post a thank you to Saar for that. Today Bennet posted a picture on Twitter that shows his street to be flooded. and let Gidon Saar know that he should take care of it. And Gidon Saar again responded. Check it out..
@naftalibennett אחי, אין לך קשרים בממשלה? בשביל מה לקחתי פסק זמן? 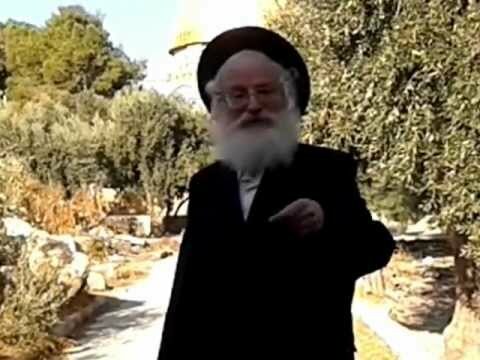 Rav Elboim, a Belzer Chassid who goes up daily to har Habayit and has been doing so for many years, is in the center of a big fight. Due to the false claims that Israel is trying to change the status quo on Har Habayit and therefore the Arabs justify killing people, the media is non-stop talking about those who go up to Har Habayit as provoking terror. This has caused the Elboim family, a large Haredi family of Belzer hassidim who all go up regularly, to become the target of Haredi protests and attacks. The Neturei Karta have been protesting outside houses of family members of the Elboim family. Askanim have been making moves within the hassidus to pressure the Elboims to stop going up, It has even come to the point that Elboims have been physically attacked, in addition to verbal abuse. To get to the point, the Belzer Rebbe has come to a decision, supposedly, that unless the Elboims stop, they will be thrown out of the hassidus and everything that entails, such as their children will be thrown out of the schools, and they will be thrown out of all the Belz mosdos. for years the Elboims have been going up almost daily. Until now, the Rebbe has refused to tell the Elboims to stop, despite the Rebbe making his public proclamations as to the prohibition of going up to Har Habayit. Suddenly the Rebbe will throw Elboim out for going up? This reeks of askanim forcing daas torah according to their wishes rather than actual daas torah. Is this a good deal or a bad one? You can earn 2000nis for a few minutes of work, while possibly causing a riot, or at least the excuse for a riot. According to reports, a group called "Chozrim LeHar" is offering a deal, an incentive, for people to pray and Har Habayit, at the risk of getting themselves arrested. It is unclear, to me at least, if the potential candidate will earn the monetary award solely by praying on Har Habayit or only if doing so also causes the candidate to get arrested. Corn on the Cob is great food. Unfortunately it has been the target of some of the "bug infestation experts" (quotation marks are not to indicate that those people are not really experts, but because I made up that title) people. They say that corn on the cob cannot be eaten because it is infested and cannot be cleaned. The only way to eat corn on the cob would be off the cob - you'd have to cut the kernels off and then eat it like simple corn. The Chief Rabbi happens to disagree. Rav Yitzchak Yosef is quoted as having said in a shiur that not everything written by the bug expert is correct or accurate. Rav Yosef said that "he prohibits eating dates, he prohibits eating strawberries, he prohibits eating sunflower seeds, he prohibits eating corn on the cob... I don't know what he allows [people to eat] - everything is prohibited, prohibited, prohibited. Why? Because he found bugs!" Rav Yosef went on to say that not everything is assur, and he then related a story of when he was out with his students in a camp and the boys wanted to buy corn on the cob from someone selling it nearby. WHen he bought the corn, one of the students protested, upset about the corn being infested. Rav Yosef relates that he challenged the boys to find him a single bug - he offered $1 for every bug found in the corn. Sure enough, not a single bug was discovered. 100 boys carefully inspecting the corn for bugs so they could earn some money, and not a single bug was found! Rav Yosef said, sure, you need to look for bugs, so look. If you find one, remove it. That does not make it assur to eat. Kipa points out that Rav Yosef's statement about corn on the cob is against the directives issued by the Rabbanut. The Rabbanut takes the position that corn on the cob cannot be eaten due to bug infestation. Kipa also points out that this puts the group of people about to be tested by the Rabbanut for certification as kashrus supervisers in a tough spot. How are they supposed to answer such a question on the test - according to the Rabbanut's position, or according to the Chief Rabbi's position? the entire country in 1 day? sounds impossible to me... good luck! same song, completely different style..
2 terrorists stabbed an IDF soldier who was moderately wounded at the bus stop at the Gush Etzion Roundabout going South towards Kiryat Arba. Both terrorists shot and neutralized. Victim of Psgat Zeev terror attack, critically wounded, has made an amazing recovery and has been released from hospital. Update: One soldier was lightly injured. Two terrorists shot in stabbing attempt at Gush Etzion junction. No other injuries reported. A bus crashed into a wall near Kikar HaCochav in Jerusalem. Initial reports of 29 wounded, one moderately. Two people were killed and a third was injured in a vehicular accident in Gush Etzion near the Elazar junction this afternoon. The accident was between a car and a truck. Magen David Adom and United Hatzalah emergency medical responders did all they could, but the 2 critically wounded -- a man and woman were pronounced dead by a United Hatzalah doctor. Two Arab teenagers arrested near TzaHaL Square close to Jaffa Gate acting suspiciously. The were found to be armed with an axe and a knife and planning to attack Jews. Two sisters from Bituniya arrested near the Cave of the Patriarchs armed with knives planning to attack soldiers. One Wakf member arrested with them. Police noticed the minor following another group of policemen in the old city. When he was stopped and interrogated he admitted to wanting to stab Jews with it. Aryeh Deri is a perfect example, a current example, of why all public servants should be required to make a declaration of wealth once a year, or once every couple of years, while serving in public office. Aryeh Deri si a guy who has spent his entire life in either a yeshiva/kollel, public office and jail. He has never worked in a high profile, high paying job in the private sector. Yet somehow, it has been discovered, Aryeh Deri is the proud owner of a new apartment building in Jerusalem worth 15,000,000nis (he sold it to his brother, but there seems to be some problem with that). So, can someone explain to me how a person who never held a job in the private sector and only earned money in the public sector at the wages of a minister and MK, as good as those salaries are they aren't that good, can possibly afford to buy a building worth 15million nis? And Aryeh Deri is not the only one. Many people who have spent their entire lives in the public sector have somehow been able to afford buying homes and vacations. I've said the same about Shimon Peres and about Ehud Olmert. And I am sure there are others. People serving in public office should either live in a way that is clear of suspicion, or they should, preemptively via declaration of wealth, show themselves to be above suspicion. There was a strange protest in Morocco yesterday.. While it is described as protesting Israelis, dressed up as Haredi Jews, attacking Al Aqsa, it looks more like they have something against Abraham Lincoln. Or maybe just people who wear top hats in general. Anyways, once again, anyone who thinks they are not safe because the Arabs don't care about Haredim and only oppose Zionists or Israelis, are clearly wrong. They oppose all Jews. If the protest was against just "Israelis", these people would have been dressed up as IDF soldiers, or Israeli settlers (also relatively easily identifiable)... They dressed up as Haredi Jews. The one group that hardly ever actually does anything in opposition to the Muslims - they don't join the army that much, they hardly build settlements, they have a pretty decent working relationship (when necessary) in the Knesset with the Arab MKs.. yet the protests use them as the image. Because they hate Jews. It is about Jews, not Israelis. There is an interesting article in the Columbia Journalism Review about how Ultra-Orthodox newspapers are planning to deal with the challenge of Hillary Clinton possibly being the next President of the United States vis a vis their policy of not printing images of women in the newspapers. It’s not just her politics that worries these publications, although they are far to the right of Clinton on most issues. More troublesome is her gender. For reasons of tradition and modesty, and in line with some interpretations of Jewish law, the ultra-Orthodox publications do not run pictures of women in their pages. When they publish articles about Clinton, they are likely to run images of her campaign posters, a picture of her house in Chappaqua, NY, or a photo of her husband, Bill. Occasionally, they will run a caricature of Hillary Clinton from a political cartoon, but not a photo. It was one thing to avoid printing Clinton’s picture when she was First Lady or a United States senator, or even Secretary of State. But how can you not show the President of the United States? at about 6 minutes in they start talking about Har Habayit and shortly after (just before the 9 minute mark) she says something that created a firestorm yesterday.. I don't know or care what MK Motti Yogev said about the Supreme Court that has upset everybody. Every time someone says anything negative about the Supreme Court, the media and everybody on the Left side of the political maps gets all up in arms about it and screams about an attack on democracy, an attack on the rule of law. I don't know why people aren't allowed to talk and criticize. I don't know why anyone thinks the Supreme Court is beyond criticism. Does every critical statement made really become a threat to the rule of law? Isn't that "a bit" of an exaggeration? Rule of Law? Democracy? Don't these ideas include any form of freedom of speech? Yesterday, during the rain storm, large parts of Israel suffered from the plague of Darkness while Electric Company employees took their time repairing whatever needed to be repaired from the storms. They are calling what happened yesterday to be the result of a "Work to Rule" Strike, aka "Italian Strike". Basically this means they intentionally cause a slowdown in the systems by adhering to the strict letter of their contracts and not doing anything beyond that. I don't know what they are upset about, but strikes are always about money. Electric Co employees are among the best paid in the entire country, so I have little sympathy for them. Large parts of the country were sitting in the dark for anywhere up to 12 hours of the day. True, a lot of that was daylight hours, but some were not, and even in the daylight I cannot do any work without electricity, and the food spoils as well. What I would like to see is some sort of class action suit against the Electric Company. The Electric Co is basically a monopoly, yet comes a few minutes of wind and rain and the entire network of electricity collapses. People should sue for loss of work, for damages to appliances and equipment, for loss of money due to food that needs to be thrown out, for aggravation, and whatever else can be tacked on. They can't just have their way with us, when they are meant to be providing a service that we pay very nicely for. The New York Times Magazine took a poll asking its readers if they would take a time machne to go back in time and kill "baby Hitler". it turns out the 42% of its respondents said they would, 30% said no, and 28% were unsure. 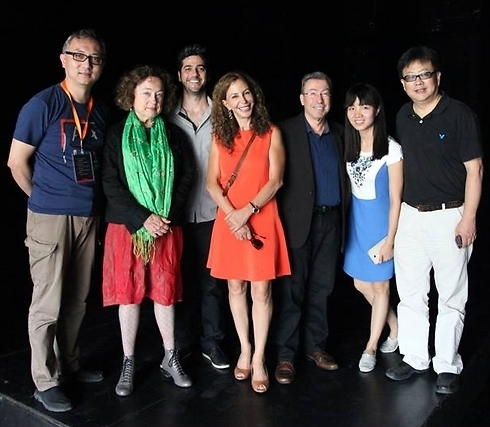 Mynet is reporting about a group of performing artists from the Cameri Theater of Tel Aviv that traveled to China for a series of performances. For their performances they sipped two containers full of equipment. The containers were stopped at the port and inspected. When undocumented contents were discovered, the containers were held up, and the theater group was fined. The fine was paid by the Cameri Theater and then the containers were released and the show went on! What was it that was discovered in the containers that caused the problem? some of the performers wanted to bring their kosher food with them, concerned kosher food would be difficult to find in China, and packed it into the containers with everything else, though it was not documented. They smuggled it in, probably innocently, were caught, and the fine was paid. According to the report, this had been done many times before when traveling to various places, they had not been warned or told by the administrators to not put their food in, so it was all done in innocence. Mynet, in their article, is clearly upset that the theater paid the fine instead of levying it on the artists themselves, especially as it was kosher food. I get that impression, because the kosher status of the food is mentioned numerous times. The problem with this is that the theater receives public funding, and now instead of using that money for developing art, they used x of it to pay a mundane fine. I wonder, if the artists had just brought food, would it then have been more acceptable? Perhaps they understand and accept that the organization should provide food, but once it involves the expense of kosher food then it is no longer acceptable? I see no problem with the organization deciding to pay the fine on behalf of the offending employees. It was probably an amount that would have been too prohibitive for the artists to pay themselves, and that would have out a dent in their ability to perform. the organization, especially when traveling, has some sort of obligation to provide food for its employees who travel on their behalf. Companies who send employees abroad provide a per diem so that the employees can eat while traveling on behalf of the company. The fact that some of these employees in this case needed kosher food and were concerned because of the difficulty in finding kosher food in China led them to innocently pack some food into the containers. If the organization is paying for the food and travel, I see no problem with them deciding to pay for this fine as well. It is insulting to suggest that because they had to bring kosher food along the organization shouldn't pay on theior behalf. In reality, the entire incident could and should have been avoided. The employees could have raised their concerns about kosher food before traveling. The Theater could have arranged to bring kosher food in legally with documentation, or to make alternate arrangements for kosher food to be provided in China. But they didn't, though I am sure next time this will be taken care of in advance. The story is the story, and it could have gone either way and would not have bothered me. The only problem that bothers me is the indignant attitude of the author based on the fact that it was kosher food. if it sounds familiar, it is because this is a Yiddish remake of the original Fifth Harmony song "Worth It"
his level of Hebrew makes one wonder.. is this an Israeli Arab who joined ISIS? is this an Israeli set up? Is this a terrorist who has maybe sat previously in an Israeli jail for long enough to learn Hebrew? I am not sure what to think about Netanyahu's decisions regarding Har Habayit. On the one hand, he is not really changing anything. He basically agreed to the same status quo that has been in effect until now. 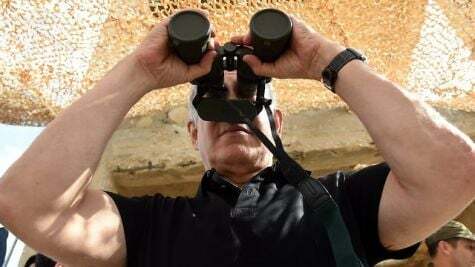 The idea put forth by Jordan and agreed to by Netanyahu regarding the installation of cameras is also fine by me. I see nothing wrong with it, and at best the world will see how nasty the Muslims up there act. Of course that might all depend on who monitors the video cameras, and I have not yet seen any notice about that. On the other hand, anything Netanyahu gives up is a reward for terror, and it encourages more in the future as they know it works and can get concessions out of Netanyahu like that. The funny part of this is that according to the Jpost the Palestinians are upset about these cameras. Instead of being happy that they will be used to ensure Jews do not pray on Temple Mount, they are worried it will be used to monitor the Palestinians themselves who incite violence and act violently. It does not matter that the proposal for cameras was made by Jordan and not Israel. And, shouldn't they not be violent? Especially if they have guarantees and ways to verify (via the cameras) that Israel isn't and will not be doing the things they say make them violent? shouldn't this be something they have no need to be concerned about? Back to the cameras, I think they should be pumped out to a public feed, accessible live on the Internet in real time. Obviously this will also allow the authorities in Israel, Jordan, PA and anywhere else to also see and analyze everything in real-time. This is the only way we will know what is happening and that the cameras are not being used by one side in a one-sided way. And this will make it preventative, as everyone considering to do something against the rules will know that nothing will be covered up for him and he will be seen and recorded by everyone. I don't know if this is much of an issue for the general public or not, but it is definitely an issue for yeshiva boys. I have seen it with foreign workers as well. Cigarettes are expensive. The country has been regularly increasing the purchase tax on cigarettes for years. This makes it, as so intended, very expensive, and thereby difficult for people with little to no expendable income to buy a pack of cigarettes. The objective of this was ultimately to get all these people to stop smoking. But it hasn't. At least, not for many. There are many stores that have been selling individual cigarettes instead of the normal way, by the pack. I imagine they sell the individual cigarette at a premium, but, the point is, someone who cannot afford to walk into the makolet and buy a pack of cigarettes can walk in and buy one cigarette at a time. The legislative committee of the Knesset has approved a request by the Justice and Finance ministries to establish fines for the sale of individual cigarettes. Anyone caught selling an individual cigarette will be punishable with a fine of up to 4000nis. That's a pretty expensive cigarette. I wonder, though, what comes next, when this is discovered to not really work all that well, to not stop enough people from smoking? Maybe they should just cut to the chase and make smoking illegal.. While the Supreme Court has its ways of knocking down laws passed by the Knesset, and showing them who's the boss, there are times where the persistence of MKs eventually finds a way around the Supreme Court's opposition. The Supreme Court has already, twice, voided the law granting kollel avreichim funding through a program called "havtachat hachnasa" - guaranteed income. The Supreme Court called it discriminatory due to it being only for avreichim and not for all students. As part of the coalition agreements from when this government wad formed last year it was agreed to bring back the havtachat hachnasa in a way to circumvent the Supreme Court opposition. After some delays, the issue is finally coming to the Ministerial Committee for Legislation. So, how will they get it by the Supreme Court this time? They've made some changes to the law proposal from what the havtachat hachnasa used to be. The current law proposal has qualifying avreichim receiving 2600nis per month. A qualifying avreich will have to have at least one child, will not be disqualified by ownership of a home, and also choosing to not work but learn will not be a disqualifier. And, the law will also give this money to qualifying students, under the same exact terms. - the minimum number of children for qualification used to be 3. It was decided that this number knocks out all students, as students don't have so many kids, even if they are married at all, which itself is rare. If the MKs are so adept at finding ways to circumvent the Supreme Court, they should use their ingenuity more frequently, such as when the Supreme Court opposes the destruction of terrorists homes. yes, that's a pregnant bride, at a Haredi (Chabad) wedding. Not something you commonly see. The story behind the picture is that this couple, after ten years of marriage without children decided to divorce, as per the halacha brought in Shulchan Aruch. After the divorce they discovered that she was pregnant! Based on the new information, the couple decided to remarry (fulfilling the mitzva of "machzir grushato - remarrying one's divorced wife)..
some Chabad-affiliated friends have contacted me offline (along with the comment in the comments section)and told me that the story is incorrect. They have told me these people are converts, and it is as simple as that. I am told they are wonderful people, which was never under dispute. Relatively new (renewed actually) MK Shuli Moallem Refaeli (Habayit Hayehudi) is calling on her party to leave the government coalition. 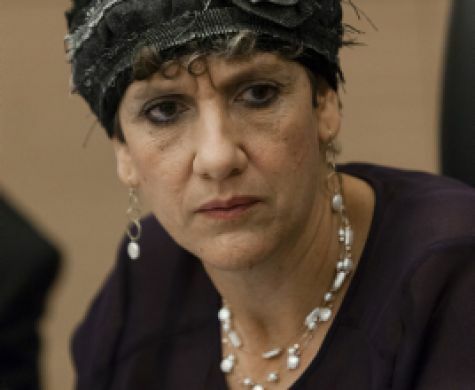 I happen to agree with her (for reasons I have not discussed here yet) that Habayit Hayehudi should do so. MK Moallem Refaeli's reasoning is simple - there is no purpose in being members in a right-wing government that cannot, or does not, execute right-wing policy. The best part of this is that if they lsiten to her, if Habayit Hayehudi would make the move she wants and leave the government, Shuli Moallem Refaeli would lose her title of MK. If they would leave the government, Bennet would be giving up his position as minister, and would return to being a regular MK. Moallem Refaeli is MK only because Bennet allied the "Norwegian Law" and resigned from the Knesset to make room for Moallem Refaeli. If he loses the position of minister, he goes back to being MK and she loses her spot. And despite that, and she surely knows it, she is still calling for it. We've recently seen attacks thwarted by household items, such as umbrellas, selfie sticks and nun-chucks. As a result, people are being seen walking around with all sorts of household items to be used for self-defense, should the need God forbid arise. I hope she never needs to use it. I hope we never need to find out if it helped. Thanks to this tweet of an announcement by a Satmar Grand Rabbi, I have been declared a hippy. I am a hippy despite not having enough hair to be a hippy. Why did Avraham tell Yishmael and Eliezer to wait for him there while he went (for the akeida), and did not tell them where he was going? So that Yioshmael would not start rioting when he'd hear that Avraham was going to Har Habayit..
from the best show in town.. There has been some discussion over the past few days, mostly on the Haredi radio stations, about the decrease in terror attacks and causalities ever since Rosh Chodesh - the day the new zman in the yeshivas began. The increased Torah learning has clearly added protection to the Jews of Eretz Yisrael. The discussion was not just that. * Rav Chaim Kanievsky and other rabbonim being quoted as saying the way to protect oneself from becoming a victim of a terror attack, and to decrease the attacks in general, is to strengthen our Torah learning. * Rav Uri Sharki rejected the above concept, saying one has nothing to do with the other. We need strength. People need to do their part, learn self-defense. The country needs to act in strength. When there is what to do, from a physical perspective, one must do it. So, does the Torah learning help? Does it protect us, somehow, somewhat? I believe it does, even though I do not necessarily understand in what way or how. Does that mean we should not do our hishtadlus, put forth our physical efforts to do what is necessary to solve the situation, to improve, to defend ourselves. No, I do not think it does. I think it is incumbent upon us to, in addition to learning, also do what we can to defend ourselves, to stop the terror. I don't think the two, learning and physical effort, contradict each other. Each will help in its own way. 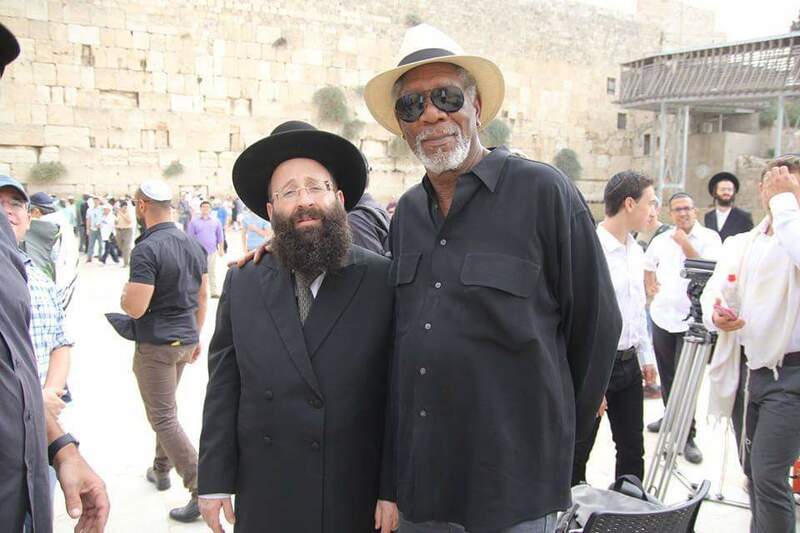 To the Haredi community everything is black and white. Either Torah learning is the solution, or it is not. If you suggest another solution, it means you think Torah learning is not a solution. If you say Torah learning is the solution, nothing else is necessary. Another, not connected example, a fresh example, of how they see everything in black and white, is something I heard on the radio this morning. On Radio Kol Hai this morning they had the mayor of Bet Shemesh, Moshe Abutbol, on air. They were talking about a recent attempt by the local Likud branch to pressure the mayor and coalition, via the Likud MKs and Ministers, to designate construction of a future neighborhood in Bet Shemesh for the general and religious, not haredi, public. The mayor was open to the idea for multiple reasons. The haredi broadcasters were on the attack. One of their main points of attack was the idea that demanding some construction for the general public means they are trying to chase away the haredi public. In a town like Betar or Kiryat Sefer or Yesodot or Bet Chilkiya, for example, maybe such an argument could be made. In a town that is 100% Haredi, demanding the construction of a secular neighborhood can be seen as changing the makeup of the town in a way that would negatively impact its residents. In a town like Bet Shemesh, where the Haredi community is only about 50%, give or take, of the city, why must construction of a secular neighborhood mean they want to chase away the Haredi community? Then again, perhaps the facts on the ground have already shown it to be partially true, in the opposite direction. Bet Shemesh was a general, mixed population, town. Mostly secular and traditional, with some religious. As soon as they started building a Haredi neighborhood, that set the tone for the city to continue building Haredi neighborhoods and ultimately "chased out" the secular and religious. So maybe the haredim are justified in being concerned that construction of a secular neighborhood would chase out Haredim. Though I don't see it as being true, because, as I already said, they came to Bet Shemesh knowing it already had a large general community. This will not cause them to leave if it did not prevent them from coming in the first place. My point in bringing this example is how they see it in black and white. Whatever good might come of it is irrelevant. 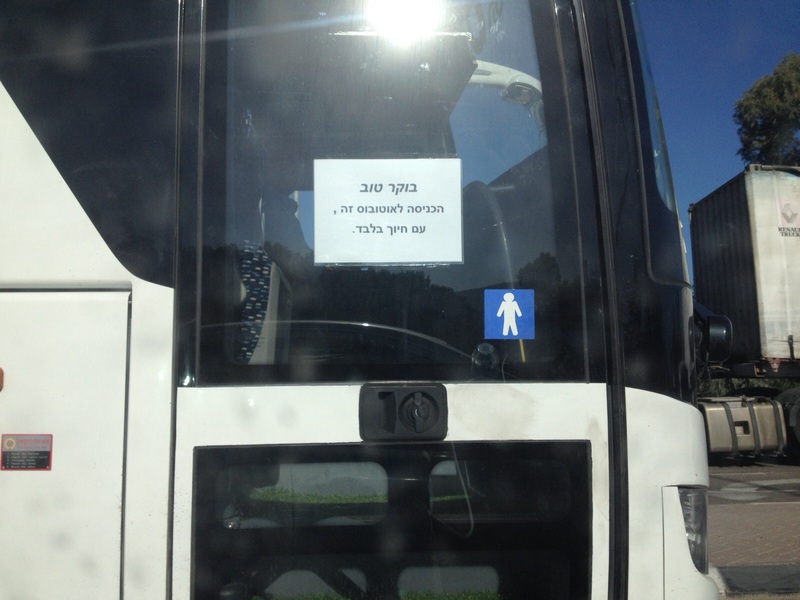 The Haredi community has been moving to Bet Shemesh. 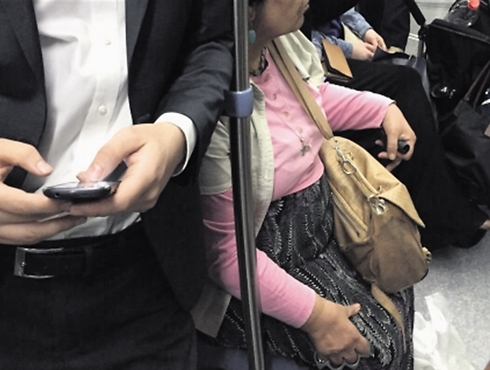 Building for anybody but Haredim means, in their minds, that Haredim are being chased away. With the Torah learning issue - it is just as black and white. Either Torah learning helps or it does not. There is no middle ground. If Torah learning helps, nothing else is necessary. Doing something else, even in addition to, means you do not really believe Torah learning helps. My question is, and it is really just the return of an old question but it is coming to me again now based on the clarity displayed by the Haredi community in this instance with "clear evidence"of how the Torah learning worked - and that is, if it is so definite that Torah learning protects and nothing else helps or is necessary, then what right do they have to take vacation from their learning? The IDF, trying to protect Israel, does not take vacation. Ever. The IDF does not say we are taking these 3 weeks off every year. How can yeshivas take off 3-4 weeks 3 times a year? If Torah learning protects, they should feel the duty, pikuach nefesh even, to continue learning without stop. Obviously people need breaks, as they do in the IDF and in every other system in the world. So they can implement a rotation of yeshiva boys and kollel yungerleit taking vacations - 10% take a week in July, the next 10% take a week in August, the next 10% take vacation in September, etc..
And I ask this only because to them it is so clear and obvious that this is the only relevant solution to terror. The head of UNESCO criticized the proposal to declare the Kotel a Palestinian site, part of the Al Aqsa mosque compound. She also delayed the vote. While this does not guarantee the committee will ultimately reject the proposal, after all it is made up up of an Arab majority who can do what they want, it is an important move by the UN rep. This UN committee could have easily just let it slip through, as a vote is a vote, and we all know how anti-Israel they are in general. We still wait to see what happens when it will come to vote, but good job of the UN person in charge in at least making a reasoned point here. Deputy Mayor of Jerusalem Chaim Epstein attacked the security forces for considering the possibility (which they deny) of posting Haredi soldiers in religious neighborhoods when beefing up security. I am not sure why the security forces felt the need to deny it, as if it would be justified to call such a step a provocative move. they should just have left it with no comment. 2. it would cause protests and the army would have to send in additional troops to back up the originals. 3. according to VIN, Epstein also said that such soldiers pose a spiritual threat to the religious neighborhoods. While violence to troops (as well as to anybody else) is not to be tolerated, according to Epstein it is at least to be expected and justified. So, if the IDF posts female soldiers, it is understandable there would be violence towards them. If the IDF posts religious soldiers it is understandable there would be violence towards them. The only soldiers postable are male secular soldiers. They pose no threat, spiritual or otherwise, to residents of religious neighborhoods. That is both funny and ridiculous. interestingly, when I searched for the article, after I heard what had been said, I came up with a series of results. The top result was an article on Radio Kol Hai's website. When clicking on the link, no article comes up because it had been removed. Conspiracy? Did they remove it because it makes the Haredi deputy mayor look bad? Netanyahu, when talking about the uptick in violence, rejected the claim, made by John Kerry, that the increased housing construction in the West Bank is the cause for the recent violence. Netanyahu showed the numbers and said that since he has become Prime Minister there has been a decrease in construction in the areas of Judea and Samaria (for reasons that he said would be discussed at another time). According to the numbers, Under Netanyahu's recent terms (since he came back to office), there have been only 1500 housing starts per year in these areas. Under Olmert, Sharon and Barak these numbers were significantly higher. During Netanyahu's first term, in 1996, the number was at 3000. By Barak it went up to 5000, then under Sharon it was down to 1900, and under Olmert 1700. With Netanyahu pulling the last 6 or 7 years at 1500, he is building much less than his predecessors. And this is the guy who ran on a right wing platform, who spoke about building in Judea and Samaria, who the right wing voters elected. I have already said Netanyahu should announce this is his last term, if not be replaced now by a courageous politician willing to take down the government. His right wing voters should not accept these numbers. The right wing keeps putting Netanyahu back in power just to be disappointed by him. Zac Waller's newest music video is a beautiful visual story of God's faithfulness to his Word and his People. For the past 2000 years, the Land of Israel has laid in ruins, desolate and abandoned. But now, as the Prophets foretold, His people are coming home, and the Land is bringing forth it's good fruit.